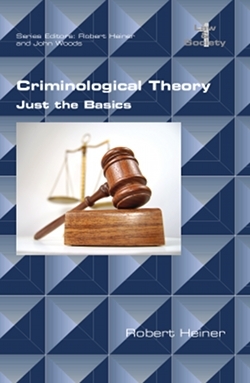 Intended for undergraduates in criminology, criminal justice, and sociology classes, Criminological Theory: Just the Basics is a refreshingly brief, affordable and straightforward introduction to classic theories of crime causation. While other textbook treatments of criminological theory tend to go into a great deal of depth and/or breadth in their analyses of criminological theory, the goal of Just the Basics is to simply describe those theories in a way that is understandable to an undergraduate audience. Traditional textbook treatments often intimidate students and turn them off to criminological theory, whereas Just the Basics will impart to them an appreciation for the wonderful insights the field has to offer them. Students will come away with a better understanding of crime than they would have after reading theory texts two or three times as long as Just the Basics. Robert Heiner has written and edited numerous books and anthologies. His book Social Problems: An Introduction to Critical Constructionism is now in its fifth edition with Oxford University Press.